During the last 30 years or so, our emergency radiology section has hosted numerous visiting residents from many different countries.Initially, our group was uncertain how well these visits would work out. Most visitors were not native English speakers; some had never traveled outside of their own countries or had never been to America, so were unfamiliar with our customs, colloquialisms, and general attitudes. They would have to navigate finding places to live, arranging transportation, sometimes obtaining driving licenses, etc. Fortunately,most of them handled these challenges well, with occasional help from the group, quickly getting established. Visiting overseas residents typically spend from 6 months to 2 years in our section, supported entirely by their own institutions. No funds are requested by our department. The primary goal of the visit is, of course, for them to obtain in-depth training in emergency radiology and hopefully share some of that information with their own departments, as well as seeing how an American academic radiology department functions. In several cases, the residents come to train specifically in emergency radiology with the expectation of returning home to help start up this subspecialty in their own departments. Visiting residents attend the same lectures and case conferences as our own residents and have full access to our teaching files, recorded past lectures, online teaching resources and current cases. They have no direct care responsibilities, but are encouraged to participate in research. They can copy anonymized cases to use for teaching in their home institutions with the proviso that they not publish any images without our permission or involvement in the planned publication. What do our guests offer in return? The vast majority has been superbly well trained in all aspects of contemporary diagnostic imaging and are able and willing to teach our junior residents. In fact, they have typically been among the most brilliant residents our group has worked with. They read cases along with the Maryland radiology residents and faculty and in doing so routinely raise good questions about the findings made and discover important additional ones on their own. Many help in the preparation of articles, from acting as case reviewers up to first authors. Some of their articles add new observations to our field and are frequently cited. Our overseas residents have been uniformly dedicated and enthusiastic, engaging as participants in case discussions and typically staying late into the evening to see more studies. They also educate us in the processes used to improve efficiency in their home departments, offering us good alternative approaches to address limitations in our department’s and section’s performance. Several of our visiting residents have gone on to establish emergency radiology sections in their own hospitals and have become quite well known in the field. Their previous training in our section has fostered regular interactions, co-participation in lecturing at specialty meetings and collaborative research. When reflecting on our involvement with visiting overseas residents a few particular anecdotes always come to mind. One of our first visitors was quite nervous when he arrived. He informed us that his chairman told him to expect American faculty to be “cruel” and not to pay any attention to foreign residents, as was apparently the experience of this individual earlier in his career. He suggested that being treated badly, or at least indifferently, would be a character building experience. This resident suffered needless anxiety before arriving and was pleasantly surprised to be treated kindly and readily made a part of the team. 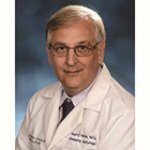 He turned out to be a star in every respect and returned to his department to later establish an independent and highly regarded emergency radiology section. I suspect that this kind of relative neglect was somewhat prevalent in the past when international interactions between radiology departments was uncommon and non-U.S. departments were perhaps considered inferior.1 I hope such attitudes are relegated to the past. One of our British residents decided to have her picture taken at an old-time photo store. Surprisingly, she chose to cover herself on top with only an American flag, while holding a six-shooter. It was a great picture. My wife bought the proofs, but this clever resident, knowing my risqué sense of humor, bought them back concerned, rightfully, that I would show them at national meetings. A resident from Taiwan, to the best of my and my colleagues’ recollections, never missed an important imaging finding or a diagnosis. He was never boastful or arrogant, just an excellent radiologist. He was quite religious and prayed daily for our section’s faculty. He thought our behavior was sending the wrong message and we all needed someone to intercede on our behalf. This resident also ordered, essentially every day, a well-done hamburger with lettuce and mayo from the same “dive” restaurant near our hospital. He really liked hamburgers! To our amazement, he never got sick (perhaps related to all the praying). After several years, he came back to visit us and had exactly the same lunch. Naturally, there have been some pretty funny language mishaps among these residents like substituting “erection” for “reaction” and“whore’s back” for “horseback.” A Japanese resident had learned most of his English from watching classic American films. A lot of his conversation was laced with famous lines from these movies, usually appropriate to the situation. He also, unfortunately, had a special interest in English curse words and in trying them out. He went on to become a leading academic emergency radiologist in Tokyo, most likely leaving the curse words behind. Perhaps the most rewarding aspect of our international resident training has been the lasting friendships established with physicians in our section. In several cases, we know each other’s families and continue to follow each other’s careers and lives. We try to get together whenever our paths cross at radiology meetings and to keep up online. I believe offering training to non-U.S. residents has been a true win-win arrangement. We and our own residents enjoy knowing, learning from and teaching them. Hearing about how some non-U.S. residency programs are conducted usually makes our residents feel pleased with their own circumstances and gives them some new ideas to explore in their own training. In the U.S., we are fortunate to still be considered worthy enough to attract excellent overseas residents to our departments to enhance their training and learn other approaches to dealing with problems we have in common. They are typically a valuable resource on a professional and personal level and have a great deal to offer us. I encourage academic departments to invite them and to make them feel welcome. Mirvis SE. Gold on foreign shores. App Radiol. 2005:34. Visiting overseas residents — A win-win. Appl Radiol.